MiniDebConfs are local meetings organized by Debian project members in a regional context. In addition to a full schedule of technical, social and policy talks, MiniDebConfs provide an opportunity for developers, contributors and other interested people to meet in person and work together more closely. MiniDebConfs in Asia have taken place in Taiwan and Thailand. Please help to make this event a success. 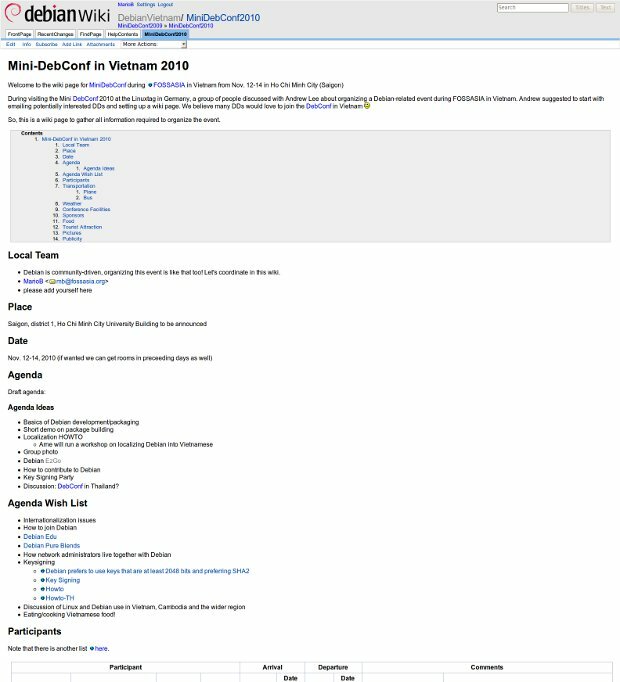 Join the organization on the wiki page for the MiniDebConf Vietnam during FOSSASIA in Vietnam from Nov. 12-14 in Ho Chi Minh City (Saigon). Background: During visiting the Mini DebConf 2010 at the Linuxtag in Germany, a group of people discussed with Andrew Lee about organizing a Debian-related event during FOSSASIA in Vietnam. Andrew suggested to start with emailing potentially interested DDs and setting up a wiki page. We believe many DDs would love to join the DebConf in Vietnam.